By 1994 the Hulk Hogan character was beginning to wane. 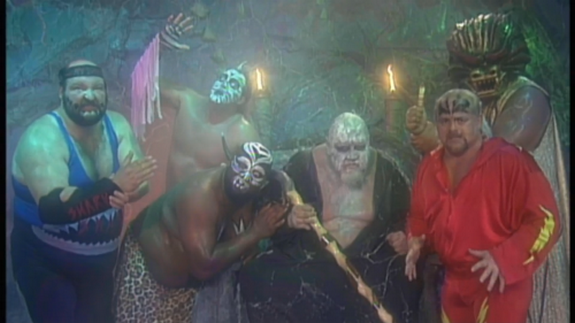 To attempt to recapture the golden era, the WCW created ‘The Dungeon of Doom’ as a heel stable as a foil for the Hulkster. Today’s piece takes a look at that stable. It should have been a really big deal when Hulk Hogan signed a contract with WCW back in 1994. For years, Hogan was perhaps the biggest and most successful wrestlers not only in WWE history…but throughout professional wrestling. Signing with the WWE’s biggest rival…WCW at the time…should have sent huge shock waves throughout the industry. In some ways, it did, but by ’94 the pro wrestling landscape was changing and the luster of Hulkamania was wearing thin. Fans were opening their eyes to newer styles of the business and heels and faces weren’t as easily defined. So when the ultimate babyface Hulk Hogan stepped foot into a WCW ring…it wasn’t exactly the biggest most positive reaction you’d expect. While his feud with Ric Flair generated great buys and ratings for the company….WCW fans were lukewarm about seeing the Hulkster compete down south. After all, this was the same company that spoiled its fans with such legendary wrestlers like Flair and the rest of the Four Horsemen…Dusty Rhodes…Magnum TA…Ricky Steamboat…Terry Funk etc, etc. 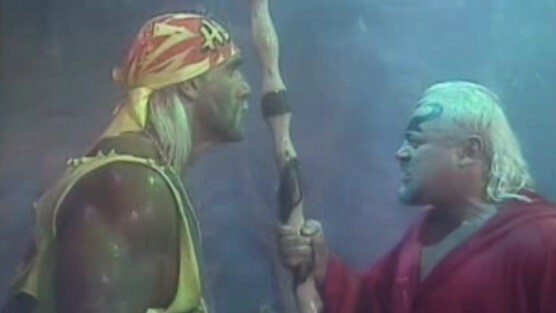 Hogan, for all intents and purposes…was the mortal enemy of WCW. He was the ring leader of the cartoon circus “up north” known then as the World Wrestling Federation. So seeing him on a weekly, even a daily basis…drew more boos than cheers. 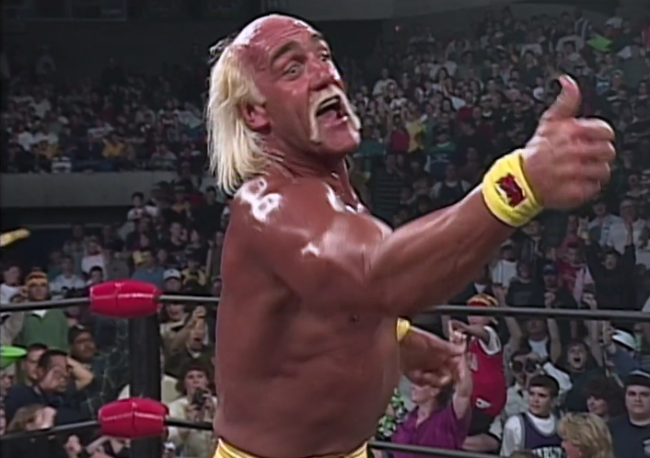 The Hulk Hogan project seemed to be a failure almost from the get go…but since WCW had so much riding on the success of Hulk Hogan…Eric Bischoff and others in charge weren’t going to give up without a fight. The theory to get Hogan “over” like he was back in his glory days of the WWF was a simple one…surround him with people he was familiar with. Wrestlers Hulk trusted…wrestlers who helped make him into this icon of a character. While the business seemed to evolving and changing…WCW decided to turn back the clock so to speak to the 1980’s and devised a “fool proof” plan to recapture the old Hulkamania magic. Wrestler/booker/producer Kevin Sullivan came up with the idea for a faction that would go to war with Hogan in a quest to end Hulkamania. The name of this faction was the Dungeon of Doom…an over the top name for a faction that would be filled with over the top characters. According to Sullivan, it was done very cartoonish and gimmicky on purpose to help Hulk get over with the finicky WCW fan base. How so? Simple logic…create a faction of wrestlers who are so unreal and unbelievable that fans would hate them so much that they would cheer for Hogan to destroy them all. Hulk himself apparently had a lot of creative input into who was brought into the Dungeon of Doom and what characters they would portray. Some characters were more ridiculous than others with names like Loch Ness, Braun the Leprechaun, Hugh Morrus (Get it?) the Zodiac and the Yeti. Throughout their two years in existence…the Dungeon had well over 20 members. Over all though, every last member of the DOD were used to help Hogan seem like the conquering hero. The main problem with this angle…was the fact that it bombed. Fans didn’t take most of the characters seriously and it just made Hogan look foolish battling heels that nobody gave a damn about. For some, the opportunity to work with Hogan on a main event level seemed intriguing and like hitting the lottery…but for others like Lex Luger and Konnan who were thrown into the Dungeon…it wasn’t well received. In fact, Konnan had asked Sullivan and Bischoff if he was being punished for some reason for being placed in such an angle. 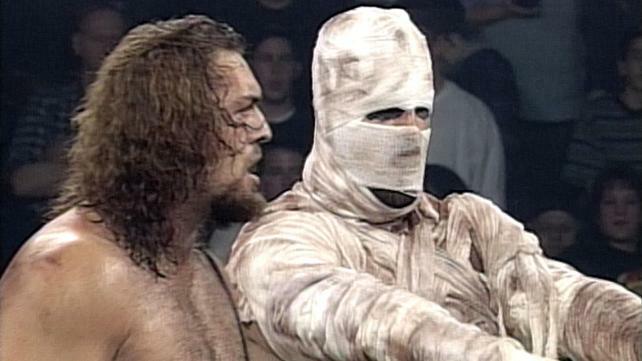 Despite many failures of the Dungeon of Doom like ice breaking and the Yeti debuting, the Monster truck battle that supposedly killed the Giant after he fell off the roof of the arena and the debuts of the Ultimate Solution and Z-Gangsta aka WWF’s Zeus….there were some bright spots. 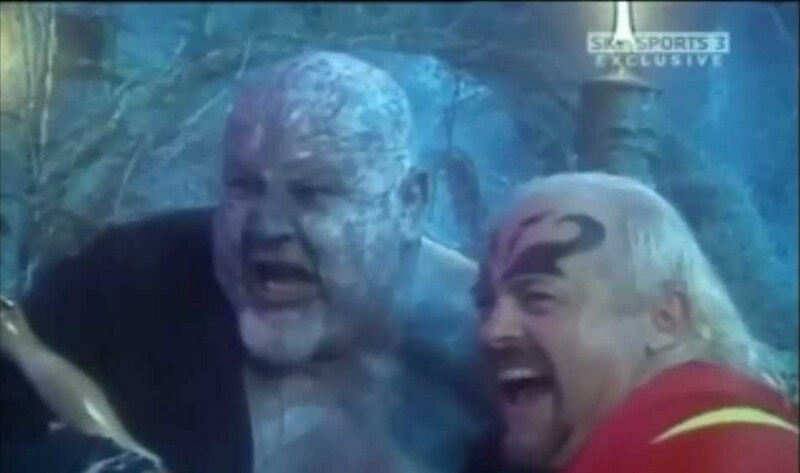 The Dungeon of Doom brought in the Giant Paul Wight who has had a lengthy career in both WCW and the WWE as the Big Show. It helped transform Konnan from a luchador that wasn’t getting over to a Mexican gangster character that worked well. It also saw Hulk Hogan briefly ditch his trademark yellow and red colors for an all black outfit and a darker version of himself. This would be later used as the template for the nWo’s Hollywood Hogan gimmick. The credibility of the Dungeon of Doom was sorely lacking so they aligned with the much more respected Four Horsemen in a super faction called ‘The Alliance to end Hulkamania.’ Even that didn’t help the Dungeon get over as heels or help Hulk Hogan emerge as a baby face. With Hogan garnering more boos than cheers….and with the quick emergence of another faction later called the New World Order…the Dungeon disbanded and faded away from WCW lore.Hulk Hogan caved in and turned heel forming the nWo and essentially killing off the DOD gimmick. Now, years later…while the Dungeon of Doom gimmick is still considered cartoon-ish and gimmicky…it is much more looked at with appreciative eyes then when it was active. Not so much because it was under appreciated and good…but more like a really bad B movie that can be watched in fondness. This entry was posted in Bookers, Creative department, Gimmicks, Nitro, Stupid Wrestling Storylines, WCW, Wrestling Factions, WWE, WWF and tagged Ahh it's not hot!, Big Bubba Rogers, Four Horsemen, Hulk Hogan, Jimmy Hart, Kamala, Kevin Sullivan WCW booker, Konnan, Lex Luger, Loch Ness WCW, nWo, One Man Gang, The Alliance to End Hulkamania, The Dungeon of Doom, The Giant falls off roof, The Shark WCW, The Taskmaster, The Ultimate Solution WCW, The Yeti WCW, The Zodiac WCW, WCW Braun the Leprechaun, Z-Gangsta. Bookmark the permalink. I lost interest in the DOD when Zodiac showed up and Zeus…forgettable. I think the moment for me that the concept of the Dungeon of Doom jumped the shark was at Halloween Havoc when the Yeti arrived and dry-humped Hogan. More of a “Varsity Club” person myself. Kevin Sullivans retirement match is a true mat classic. 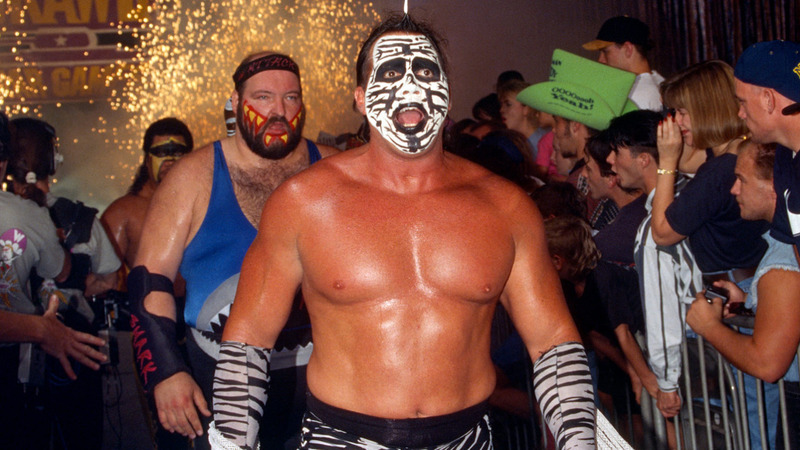 Sullivan has stated on a few occasions that the main job of the Dungeon was to get Hogan to relax, that he was too uptight, considering how things ended for him in the WWF. Sullivan tried, but the fans really didn’t warm up to this storyline, and I know that I was one of them. 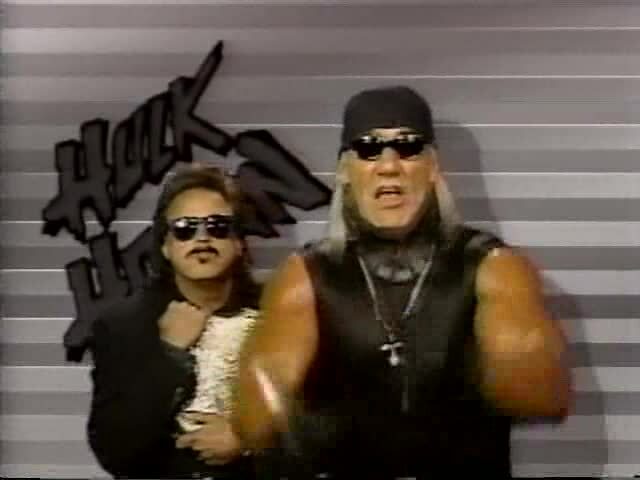 It doesn’t diminish anything that Sullivan did as a booker, but with Hogan having 100 percent control of his character, it was hard for the Gamesmaster to make quality storylines for the Hulkster. Yeah this was bad, really BAD. The fact that the gimmick was 10 years too late didn’t help it at all, or the sheer redonkulousness it all. Credit where credit’s due though, at least Sullivan tried.